Original cover by Walt Simonson; Marvel 1983. Mark Kuettner does not have a website. Hmmm... I think the Original cover looks better, there is something about that old vintage look. that just packs that classic punch. The re vamp cover looks good, but I think it's the digital coloring that throws it off a bit. Nice! I really like the head shots up top! I have to disagree with Jay. 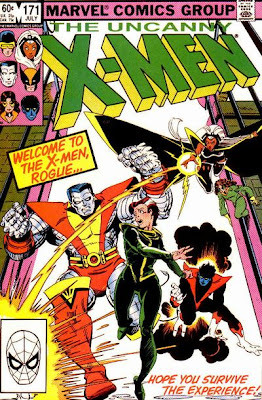 While the old cover is great and Walt Simonson is a comic legend there are some interesting choices Mark made. 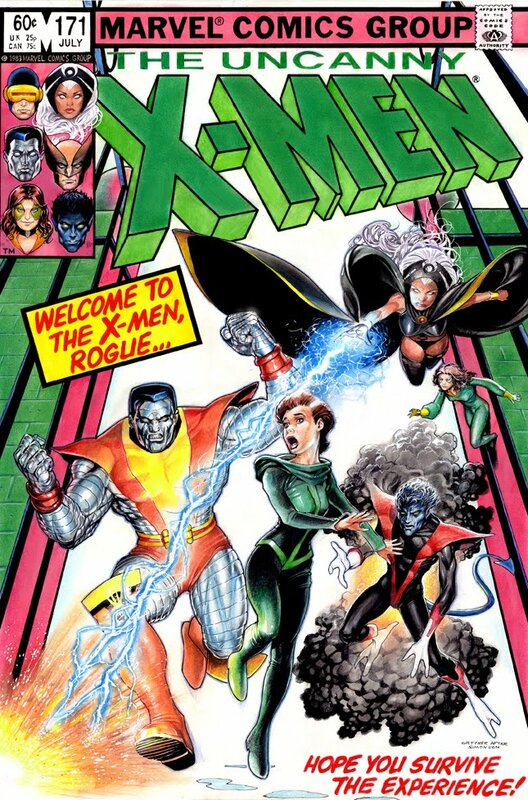 For example; changing the background color of the X-men logo from yellow to green makes it drop back and allows the characters to pop more. Then changing Storm's lightning bolt from yellow to blue grabs the eye more and guides the viewer through the space. Plus the hue shift of the whole piece from warms to cools is refreshing. I particularly enjoy the headshots on the top. They're like little easter eggs. Great work. love the rendering on the figures, as well as the headshots up above. 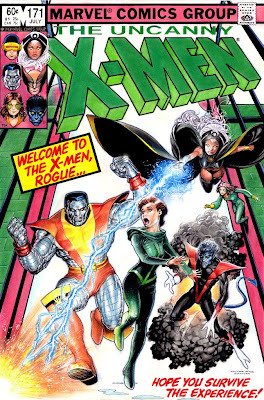 i don't think i'm sold on rogue's body (walt really pushed that she's turning and fleeing. whereas i feel yours gives off less of a sense of urgency), but otherwise some really great stuff!